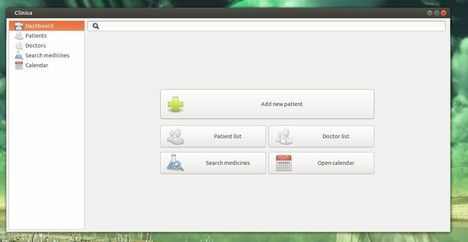 The simple Medical Records Manager Clinica released version 0.3 with backup import/export functionality, network sharing service, as well as other improvements and bug fixes. Added an abstraction to the DataProvider to allow integration with external data sources. Added a DBus service to ease integration in the desktop environment. For Windows user, download Clinica from Launchpad page. Once installed, you can open it from Unity Dash home. Enjoy! Hi, I would like to know whether Clinica allows you to save the files in a external hard disk. I mean, is it possible to have a kind of backup? Thank you in advance.